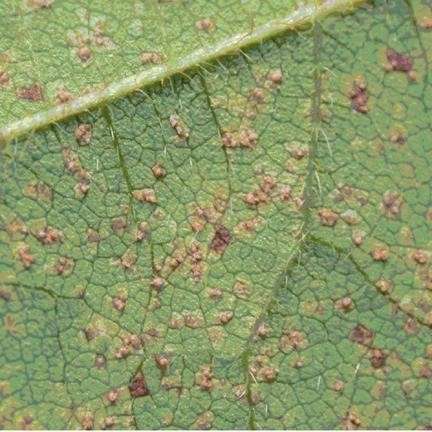 Midwestern growers don't worry much about soybean rust, but the fungal disease has been popping up at the end of the growing season nearly every year since 2006. But because the fungus can't survive winter without a host plant, it's not much of a threat to Midwest crops under current conditions. Right now, the disease only impacts U.S. soybean growers in the frost-free south, and only over-winters in parts of the Gulf Coast and the Caribbean basin. "But if the frost-free zone were to expand northward sometime in the future, there would be a greater potential for soybean rust to impact Midwestern growers," says Glen Hartman, plant pathologist in the Department of Crop Sciences at the University of Illinois and crop pathologist for USDA-ARS. Even though the major soybean-producing region in the United States is currently safe, Hartman and his collaborators aren't willing to let the ball drop on soybean rust. "We'd like to stay ahead of the game by knowing more about the pathogen and whether strains of the fungus can overcome soybean rust resistance genes," he says. The disease is also active and spreading in many other parts of the world. In Africa and other continents, soybean losses of up to 80 percent have been reported due to this disease. "People talk about walking through soybean fields and stirring up clouds of spores," Hartman says. The team verified soybean rust first in Ghana, then Malawi and Tanzania, and most recently Ethiopia in 2016. Hartman notes that fungicides can be effective, but the chemical strategy comes with several pitfalls. "Spraying fungicides over millions and millions of acres does not always provide effective control and certainly is not environmentally appealing," he says. The problem wouldn't be solved with a single treatment, either. In Brazil, where losses up to 75 percent have been reported, producers often spray two or three times every growing season. Finally, the pathogen can develop resistance to fungicides, making them less effective. Hartman believes the way forward is finding rust-resistant soybean varieties. In a recent study, he and several international collaborators tested the ability of 10 such varieties to stand up against rust strains from around the world. None of the soybean varieties were able to resist all of the rust strains that were tested, but a few showed promise. "Soybean genotypes carrying Rpp1b, Rpp2, Rpp3, and Rpp5a resistance genes, and cultivars Hyuuga and UG5 (carrying more than one resistance gene), were observed to be resistant against most of the African rust strains, and therefore may be useful for soybean-breeding programs in Africa and elsewhere," Hartman says. On the flip side, the researchers also evaluated which rust strains were the most destructive. It turned out that strains from Argentina were the most virulent. 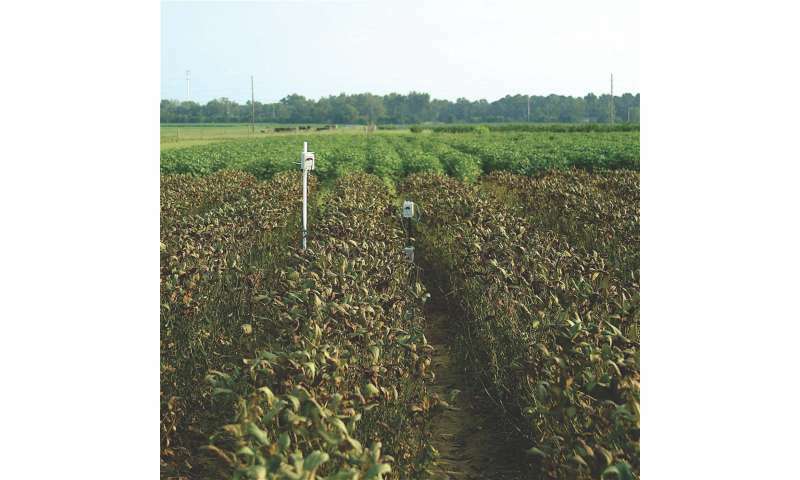 One of them was able to cause full-blown disease symptoms - tan spore-producing lesions on the leaves - on eight soybean lines, including two with multiple resistance genes. The study's major conclusion is that it won't be as simple as choosing one soybean variety with resistance and rolling it out for commercial use around the world. Instead, it will take a more tailored approach, pushing out the varieties whose specific type of resistance offers the best chance of maintaining effective resistance to local rust strains. The article, "Virulence diversity of Phakopsora pachyrhizi isolates from East Africa compared to a geographically diverse collection," is published in Plant Disease.